Anish, working with MIT D-Lab’s Energy Research Group, is expanding the group’s efforts in South Asia. He currently supports the development of agriculture, water and energy access programs with community-based organizations. Additionally, he provides technical assistance on energy solutions to field partners and performs lab- and field-based research. He is a Co-Instructor for D-Lab: Energy II. 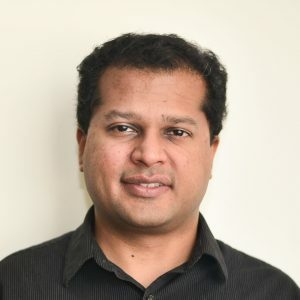 Anish holds a Ph.D. in Electrical Engineering from the University at Buffalo School of Engineering and Applied Sciences, where he designed a superconducting magnetic energy storage device for renewable energy systems. In his free time, he loves playing cricket, traveling, baking, keeping up with current affairs, and trying to find a good New York style pizza in Massachusetts. 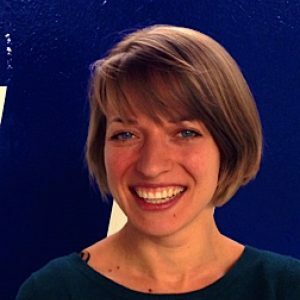 Jette Lengefeld is a postdoctoral fellow in the Amon Lab at the Department of Biology/Koch Institute. In her research she focuses on understanding the factors that control stem cell division and differentiation. She received her PhD at the ETH Zurich (Switzerland) working on budding yeast (Youtube video). Jette loves sports and therefore regularly joins the PDA volleyball every Friday at the Z-Centre. Otherwise, she likes running, hiking, snowboarding, philosophy and movies/eating popcorn. Tanimul Alam is a postdoctoral research fellow at Department of Biology (Koch Biology Building 68). Tanimul received his Ph.D. at Division of Biological Science in Nagoya University from the study of neural regeneration in C. elegans. Currently he studies the molecular mechanism of aging in C. elegans using computational approach and conventional molecular biology approach. As Tanimul was born in Bangladesh and raised in Japan, he can speak 3 languages; Bengali, Japanese and English. He believes that he can use these backgrounds to understand a wide variety of demands from members of PDA. As a Recording Secretary, he would like to support the president and vice president so that every decision making of the executive board becomes successful. Also, he wants to make sure all the PDA meeting enjoyable and fruitful by taking care of details. Along with the academic activities, Tanimul enjoys traveling, photography and composing music. For more information, visit the personal website: https://www.tanimulalam.com . Yu-Ja is a postdoctoral fellow at the Griffith lab in the department of biological engineering. He received his PhD in materials science from Johns Hopkins, where he utilized microfluidics to study cell migration. At MIT, he’s working on building an organ-on-a-chip platform to understand how human microbiome interacts with its host and affect our immune system. 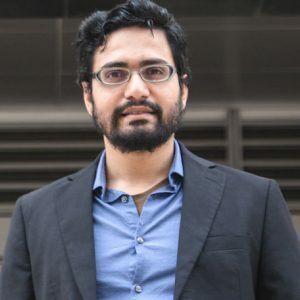 He’s very interested in entrepreneurship and are closely involved in the biotech community at MIT including the Postdoc Venture Group, MIT microbiome club and MIT biotech group. Outside of work, Yu-Ja enjoys being in the outdoor and loves rock climbing and snowboarding. Yiman is a NSERC postdoctoral fellow in the Department of Biological Engineering. Her research is on studying tRNA modifications in microorganisms under different stress conditions by liquid chromatography-mass spectrometry, with an aim of understanding how these modifications play a critical role in modulating cell survival response. 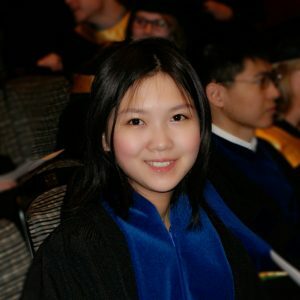 She obtained her PhD in Analytical Chemistry from University of Alberta in 2015, and have worked as a research scientist in the pharmaceutical industry for 3 years prior to joining MIT. As a new comer to Boston, she is excited to explore the Boston area, try good foods and make new friends. She would be happy to connect with all fellow postdocs at MIT and would like to hear from MIT postdocs of any advocacy issues. 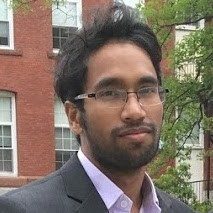 Qasim Bukhari is a postdoctoral associate in the Gabrieli Lab at the Department of Brain and Cognitive Sciences at MIT. He uses different neuroimaging techniques to better predict the treatment response outcome for psychiatric disorders from many alternate treatment options by using machine learning algorithms. He aims to develop a system that can predict the optimal treatment option from alternate therapies for psychiatric disorder patients. He also uses these tools to investigate the relationship between cognitive skills and brain measures. He holds a PhD in Electrical Engineering from ETH Zurich in Switzerland. He was awarded Erasmus Mundus scholarship for his Masters studies during which he spent time in Finland, Norway and Spain. Outside his lab, he likes to watch movies, spend time with his family and travel around the world. As a PDA officer, Qasim Bukhari is in charge of the Professional Development Committee. Please contact him for suggestions or proposals on organizing professional development events for the MIT postdoctoral community. 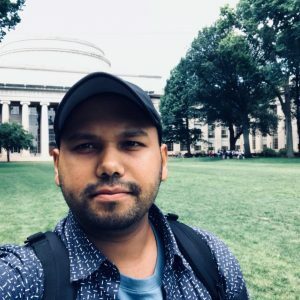 Satish joined the chemical engineering department at MIT as a postdoctoral associate in July, 2018. He graduated with a PhD in chemical engineering from Worcester Polytechnic Institute with his dissertation focused on improving the catalytic conversion of carbon dioxide to useful fuels using quantum mechanical simulations. At the Blankschtein lab, his research involves molecular dynamics simulations of the water transport of one-dimensional nanomaterials like carbon nanotubes and solvent assisted exfoliation of two-dimensional materials like molybdenum disulfide. Satish enjoys working out in the gym or outdoor, play squash, and has interests in health and nutrition. 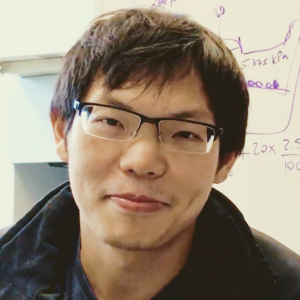 Man Ho is a postdoctoral fellow in the Department of Brain and Cognitive Sciences. He studied Applied Biology and Biotechnology at the Hong Kong Polytechnic University (PolyU). He joined MIT in November 2017, after finishing his doctoral study in Goettingen, Germany. Man Ho is fascinated by the complexity of the brain, and is particularly interested in the mechanisms of synaptic plasticity. He thinks our universe is constructed by/of our brains, and learning about how the brain works is an essential step to understand our universe. Unprofessionally, Man Ho enjoys nature, conversations about science and religions, and maintaining PDA’s website. 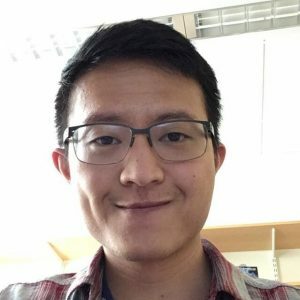 David Cheng is a Postdoctoral Associate in the Microfluidics & Nanofluidics Research Laboratory in the Department of Mechanical Engineering. He is fascinated about how ions and molecules move at the nanoscale and devotes his energy to designing machineries that enable new abilities to manipulate their transport and storage behaviors for clean water and energy applications. David holds a PhD in Materials Science and Engineering from Monash University, Australia. He enjoys reading, playing guitar and discovering great yet affordable local restaurants on a weekly basis. Please don’t hesitate to reach out to him if you have got any ideas that would help demonstrate that postdocs are a unique yet indispensable part integral to the MIT alumni community. Mica came to MIT in September 2017 as a postdoctoral associate in the Green Group in Chemical Engineering, after obtaining her PhD in chemistry from UC Berkeley. She investigates the nature of rapid reaction chains leading to soot formation in internal combustion engines and petrochemical production processes, using a combination of laser spectroscopy experiments and kinetic modeling. Mica joined the PDA in the fall of 2017 and helped to raise funds by organizing the annual vendor fair in May 2018, which brought representatives from a wide range of scientific companies to meet postdocs at MIT. Mica is also interested in science communication and develops workshops and events for the Communication Lab. Outside of work she enjoys traveling, hiking and camping, writing, and playing music. Wei Sun is a postdoctoral associate in the Department of Electrical Engineering and Computer Science (EECS), where she works with Professor Jing Kong. 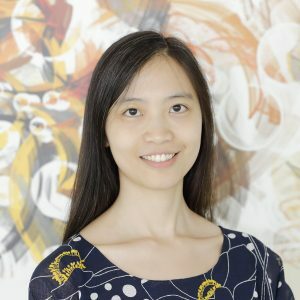 Her research interest lies at the interface of nanoelectronics, nanodevice fabrication, and machine learning to engineer new device architectures with unique functionalities based on low-dimensional materials (e.g. graphene, MoS2, carbon nanotubes, etc.). 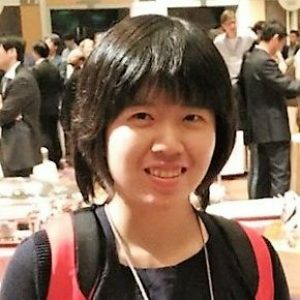 Wei Sun is member of the American Physical Society (APS) and the Materials Research Society (MRS). 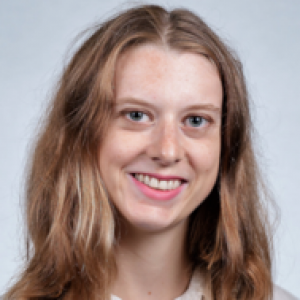 She recently received the 2017 APS Post-Doctoral Travel Award, the 2017-2019 NSF LATTICE Award, the 2018 StartMIT Award (First Prize), and the 2018 MITnano Grand Opening Poster Presentation First Prize. At MIT, Wei Sun also serves as the Social Chair of Microsystems Annual Research Conference (MARC) for consecutive two years. She is actively involved in international conferences — in part simply because she enjoys travelling. Her dream is to roam the globe. 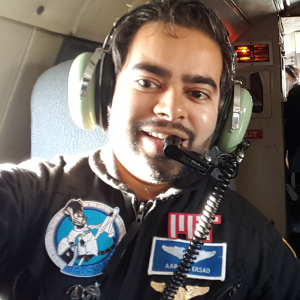 Aaron Persad joined the MechE department in November 2018 as an NSERC Postdoctoral Fellow from Canada. His research in the MIT Microfluidics and Nanofluidics Research Lab investigates how molecules of different shapes and masses are filtered across custom-made membranes that are only one atom thick. The filters may help improve water purification, and recycling of harsh solvents from industrial processes. He is also leading various Space Science research projects such as studies of the behavior of water in a weightless environment (as on the International Space Station), how to harvest water from the Moon to support long-duration human space missions, as well as testing the next generation of space suits. Aaron holds a doctoral degree in Mechanical and Industrial Engineering (MIE) from the University of Toronto, where his work focused on applying quantum mechanics to explain evaporation processes. 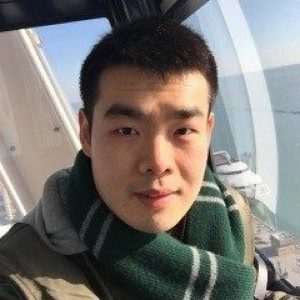 He is enthusiastic about teaching and was recognized as the top Teaching Assistant by the Faculty of Applied Sciences and Engineering at the University of Toronto. Aaron enjoys snowboarding in the winter, hiking in the summer, and learning about history and philosophy in between. Snow is a Postdoctoral Fellow in the Amon lab at the Koch Institute for Integrative Cancer Research. Her current research interest is the molecular mechanism of cell signaling. Snow grew up in China where she received her Bachelor’s degree in Chemistry from Peking University. Afterwards, she moved to the US to obtain her PhD in Chemistry from Stanford University. In her free time, Snow enjoys volleyball and occasionally cycling. She loves good food and travel.